Somerset Day takes place on 11th May – how will you be celebrating? Saturday 11thMay 2019 sees the fifth Somerset Day take place. How will you be celebrating? The Somerset Day website (www.somersetday.com) has a list of events that are taking place in the week leading up to 11thMay, over the weekend, and in the week following. From tea parties to craft fairs, from morris dancing to town criers, here’s a taster of what’s to come. Keep an eye on the website as events are being added all the time! And if you’re planning an event in your community, don’t forget to let everyone know by posting details on the Somerset Day website. St. Margaret’s Hospice in Taunton will be celebrating Somerset Day by serving tea, coffee and homemade cakes in their Sunflower Centre at the Taunton Hospice on Friday 10thMay from 1pm to 3pm. Everyone is welcome to join them. The Pride of Somerset Youth Awards, will be held at the Conference Centre, Bridgwater and Taunton College, Wellington Road, Taunton on Friday 10th May 7pm – 10pm. If you’d like to nominate a young person under 20 who lives in Somerset, whose achievements deserve recognition, then nominations are open until 12th April. Bishops Lydeard Somerset Day Yarnbombwill be in place for the whole month of May, based on Jules Verne’s Around the World in 80 Days. Please pop along and see all the hard work that has been done this year to make the beautiful village even more colourful. The Made in Somersetcraft fair takes place on 4th May at the ACEarts Gallery and The Parish Rooms in Somerton. Open from 10am to 4pm, a unique mix of over 35 hand-picked designer-makers and artisan-producers from across the county of Somerset will include exquisite handmade jewellery, stylish ceramics, interesting stationery and prints, luxury candles and indulgent treats, as well as a number of outstanding artisan food producers. On 11th May from 12pm – 6pm, The Railway Inn, Sandfordwill have live music from ‘The Mangled Wurzels’, dancing and entertainment from Mendip Morris, tractors old and new on display, Thatchers Cider and cheese sampling, a charity cake sale, and entertainment for the kids! Visit the award winning Eat:Tauntonon Saturday 11th May 2019 10am – 5pm in Hammet Street, Taunton. This is a free to attend locally focused food and drink festival in the heart of the county town. The Ilminster Town Crier competition takes place on Saturday 11th May from 10.30 to 2pm. Town Criers from Lichfield to Launceston and Bromyard to Bognor will parade along East Street to the Market Square where they will compete for a variety of trophies. They hope to have a cry from one of the youngest Town Criers in the United Kingdom, 10 year old Ollie Pinder-Day. Also on 11th May, between 2pm and 4pm, the renowned Albion Quartet returns to Hestercombe Gardens to play three wonderful string quartets. They present a programme named “The Art of Fugue; Voices in Dialogue”, exploring the beauty of the four equal voices of the quartet acting as one organism. The Centre for Young Musicians Taunton, is proud to be a part of Somerset Day 2019. There will be an opportunity for visitors to see the Centre in action with a tour of the Centre and to enjoy a Soloists’ Concert by CYMT students at 12.00 in the Willow Cafe at Richard Huish College. 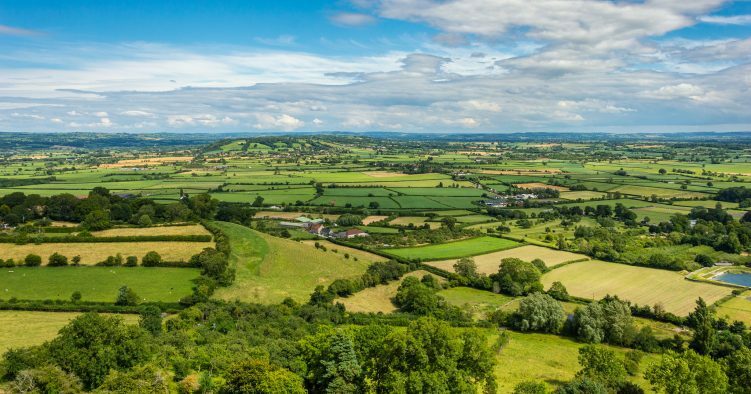 Now in its fifth year, Somerset Day is quickly growing in popularity, and people all over the county are coming together to mark all that’s fantastic about this wonderful county, putting on a celebration too good to miss! From craft fairs to food fairs, tea parties to cider and cheese tastings, there’ll be something for everyone. In 2018 over 200 events took place – this year many more are expected as word about Somerset Day spreads! If you’re organising a Somerset Day event for your local community, please upload details onto the Somerset Day website, where full calendar of events is hosted. Nigel Muers-Raby, founder of Somerset Day continues, “The excitement is building to this year’s Somerset Day. Based on the success of 2018, we know that this year will be bigger and even better!